Human Engineering designed for iPad Pro 10.5 inches 2017 Released. Environment friendly material used, functional and Comfortable to use. Need more TABLET ACCESSORIES? Search DTTO on amazon. 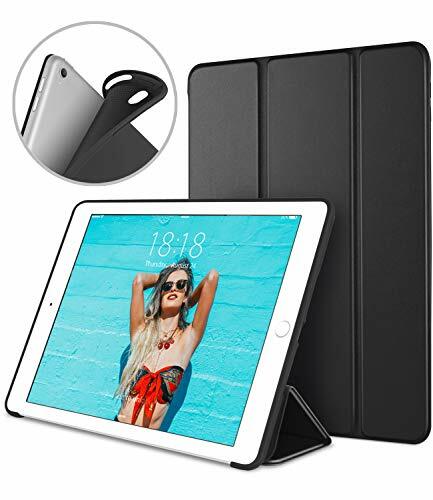 Ultra slim and lightweight case designed specifically for iPad Pro 10.5 Inch Tablet 2017 Release only. Please Note: This case is Not compatible with iPad Pro 9.7 inch 2016 Release, iPad Pro 12.9 inch 2017 Release and other iPad Models. Tri-fold front cover with dual standing positions for facetime, movie viewing and keyboard typing. Magnetic smart cover supports fast response auto sleep/wake function and respond instantly to save more power. Air cushion technology and honeycomb pattern provide better shock absorb function and better thermal dissipation. Precise cut-outs and openings for iPad Pro 10.5 Inch 2017 released with easy access to all tablet features. Easy to install and remove and provides fully protections inclduing anti-scratches. Lifetime warranty offered by DTTO. Please search "DTTO" for other accessories.